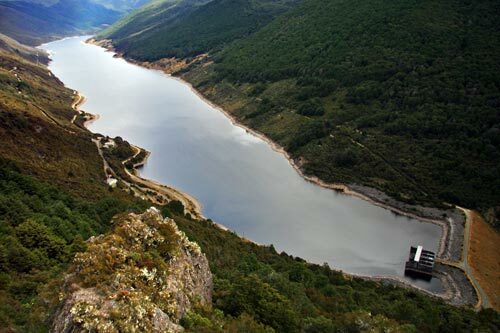 The Cobb Reservoir was formed by damming the upper Cobb River, which ran through an elevated valley before flowing into a gorge to drop down to the Tākaka River. Engineers realized that although the water quantities involved were not great, they could use the large fall of 593 metres to generate electricity. The upper river was dammed and water was carried by pipes down to a power station on the banks of the Tākaka River. The project began in the 1930s and was completed in 1956.